A refundable loss/damage/additional cleaning security fee of £100 is payable on booking which subject to T/C will be returned within seven days from the end of your stay. A £80 deposit is required to confirm booking, the balance to be paid four weeks prior to holiday start date. Please be aware your deposit will be withheld if you cancel 30 days or less from the start date of your hire period. 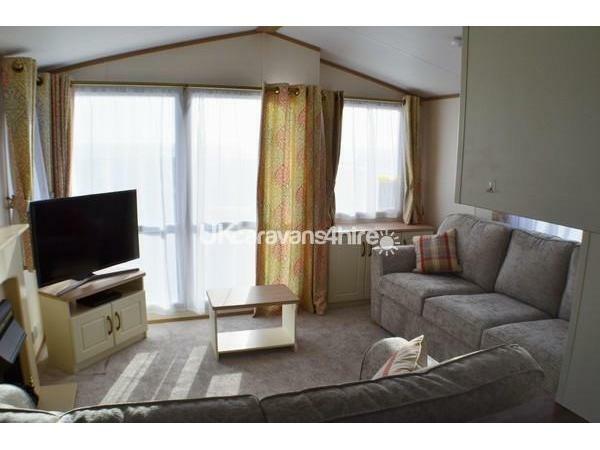 New on site ready for the start of 2018 is the Atlas Debonair 4, a 2 Bedroom 6 berth caravan situated in a prominent position with sea views and just a short walk to the 3 mile long private beach and a short stroll from all the amenities Freshwater beach has to offer. The lounge has the latest 40” 4K ultra high definition TV with Freeview and a DVD Blu-ray player, also a Nintendo Wii with games and four each of remotes and steering wheels so the whole family can play together, plus there is a balance board to use with the snowboard/ski games and for the energetic the Wii fit disc which also contains a number of games that require the balance board. There is also a selection of DVD’s, books a compendium of 100 games and a bed settee. 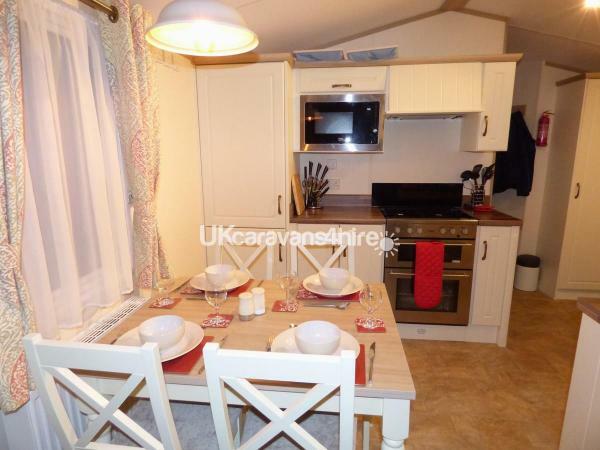 The kitchen is equipped with full gas cooker, microwave fridge/freezer kettle, toaster and toasted sandwich/panini/waffle maker. All crockery, cutlery, pans and utensils are provided. Shower room has power shower, wash basin and toilet. 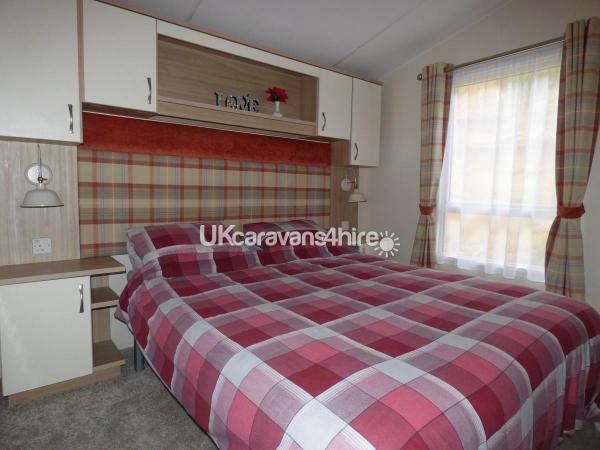 The main bedroom has a king size bed (linen for the king size bed is available on request at a cost of £15), dressing table with stool and floor to ceiling wardrobe’s, it also has an en-suite wc and wash basin. 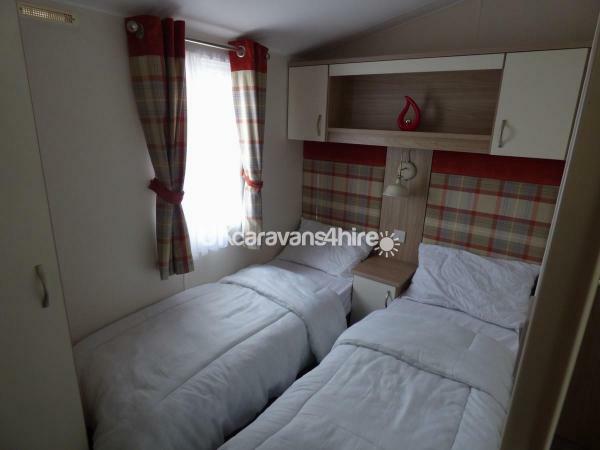 The twin bedroom has two single beds and wardrobe. The only bedding that is provided are pillows and duvets, with pillow and mattress protectors; please supply your own bed linen as these are not provided. 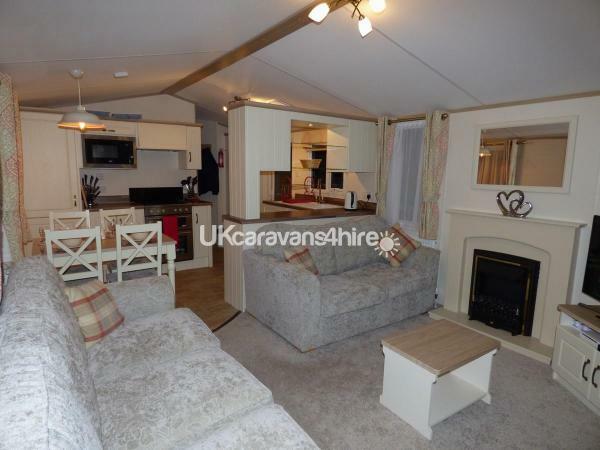 Next to the Caravan there is a fenced private patio with table and chairs for 6 plus a charcoal BBQ. There is parking space for two cars one at the side and one immediately in front. Gas and electric is included as well as passes to Freshwaters facilities. Please note these passes must be returned when you leave as there is replacement charge of £10 each for any that are lost. 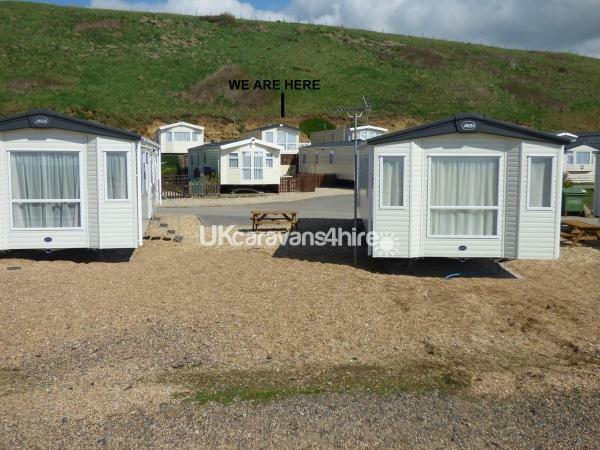 Freshwater Beach Holiday Park facilities (some may require membership). It has its own private beach (3 miles long), five swimming pools, outside there is one children's and another for adults both heated. In Jurassic fun centre there are another two children's pools, one of which has a water feature and slides also another 20m pool for grownups. The family entertainment club has a licenced bar also you can find refreshments in the ground floor cafe or the cafe bar. 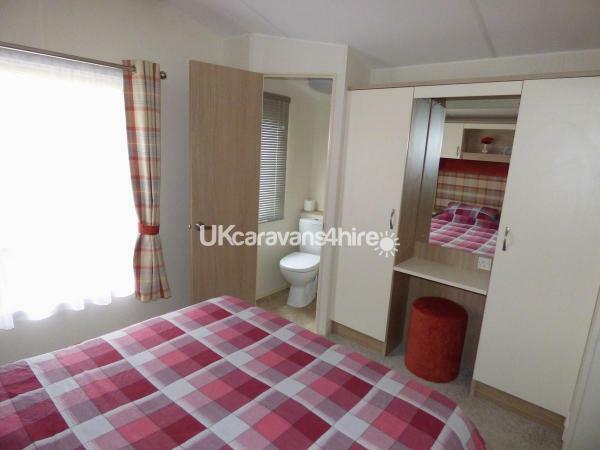 Facilities also include a children's playground, 6 lane bowling alley, gym, sauna, hot tub and steam room, beauty salon, amusement arcade, pool tables, takeaway, supermarket and launderette. Next to Freshwater there is a gold club. 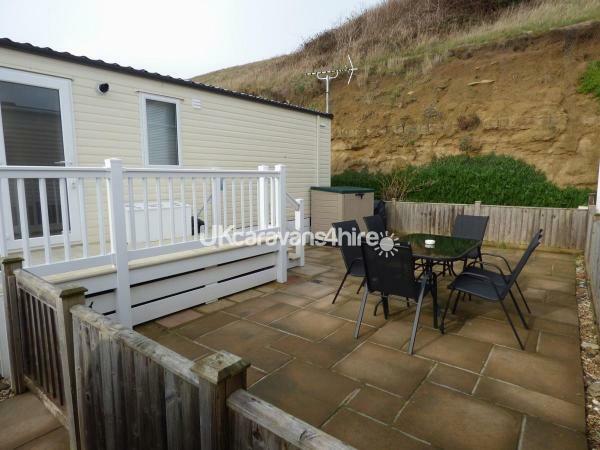 Fabulous caravan far better than it looks on photo's, nice relaxing spot, lovely view of the sea and not much more than a minutes walk to the beach. 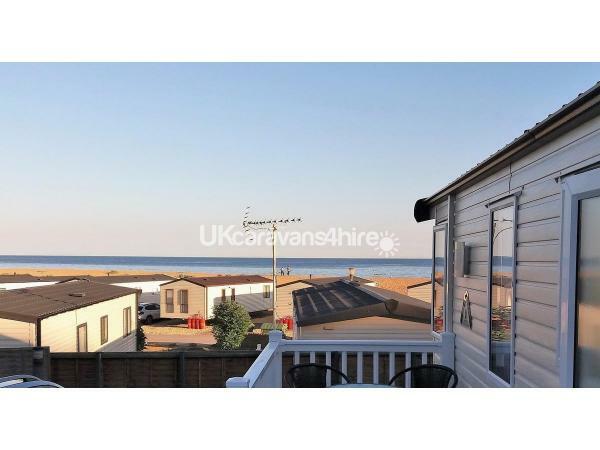 It was nice to lay in bed of a night and just listen to the sea, we've stayed in a few caravans over the last couple of years but none as nice as this we're definitely going to book next year only this time it's going to be for a week..